Jessica Hendry Nelson of Waterbury wears a lot of hats. She's the author of the memoir If Only You People Could Follow Directions, which was a finalist for the 2015 Vermont Book Award. 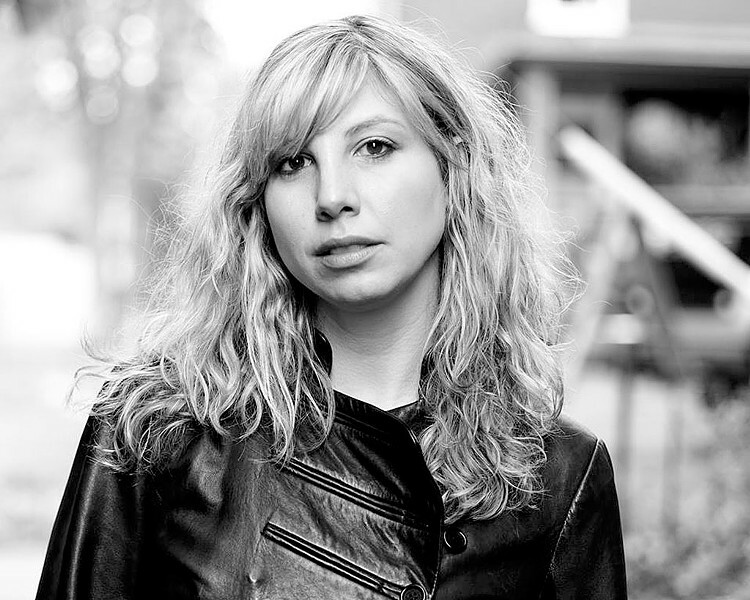 She teaches at Champlain College, in the Vermont College of Fine Arts MFA program in writing and publishing, and in the low-residency MFA program at the University of Nebraska at Omaha. She cofounded the now-defunct Renegade Writers' Collective, which was a Burlington hub for classes, readings and contests. For the past four years, Nelson has served as managing editor of the nearly 30-year-old literary journal Green Mountains Review, based at Johnson State College. There she coordinates the publication of each annual issue full of contemporary fiction, nonfiction and poetry. She's also busy carving out new territory for GMR: book publication. The prose and poetry winners of GMR's first annual Book Prize competition will be published early next year. Vermont has plenty of writers, many of whom have submitted their work to literary journals, but how many know what goes on behind the scenes? How do people like Nelson tackle the task, half rote and half delight, of assembling an award-winning print journal supplemented by unique online content? For one thing, the internet has changed their job considerably — and not just because editors have a bigger content hole to fill. In the early days of GMR, submissions arrived via post. This writer, who was a slush reader during that era, remembers how cartons of poems and short stories, all accompanied by self-addressed stamped envelopes, filled an office the size of a glamorous closet. Since then, an online submission system called Submittable has freed writers from using the U.S. postal service to send out their work. But the simplified process means that lit mags such as GMR receive thousands more submissions per year. Seven Days reached out to Nelson via both Skype and phone to learn how she fills each teacup-size issue from the flood of potential material she receives. 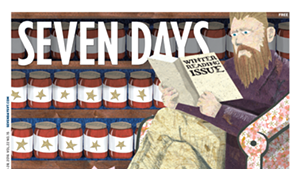 SEVEN DAYS: Green Mountains Review has been around for more than 25 years. What was the magazine like when it began, and what is it like now? JESSICA HENDRY NELSON: GMR was started in 1987 by two JSC English department faculty: poet Neil Shepard [now a senior editor] and poet and essayist Tony Whedon. They established the journal as a biannual print journal publishing poetry and fiction and a little bit of nonfiction. Historically, it's always been staffed by faculty with the help of student interns. More recently, the journal has become an annual print journal, and we've revamped the website to include constant new content. We're still staffed by faculty with the help of student interns, but the biggest evolution is that the journal is a reflection of an editor's particular aesthetic taste and evolves as editors evolve and change. Now Jensen Beach is fiction editor, Elizabeth Powell is the poetry editor [replaced by poet Didi Jackson during her sabbatical], and we've modernized the [print journal's] design, which is now square-shaped. Also, we've expanded the digital format, which allows for greater possibilities of what we can publish; for example, there's no word limit and no text-shape limit. Next, we're looking at incorporating audio and video content. SD: What does a managing editor do? JHN: The managing editor is the control tower. Interns read the submissions and give them thumbs-up or thumbs-down; they recommend certain pieces. I [also] read everything to make sure nothing flies under the radar. I keep track of all the calls that come in, keep track of the editing schedule. I tell the editors when it's time to turn in their materials, then I send out contracts to the authors. I do the initial issue layout and sequence the work, figure out what goes where. For example, each print issue has a special insert — our current issue [has] a suite of work by our [poet laureate of the United States], Juan Felipe Herrera — so I use that as the starting point for determining the shape of the magazine. Also, I determine the print runs and fill the orders. I communicate with the layout designer — it's like collecting all the clay and making the pot. SD: How many submissions does GMR receive? JHN: In 2015 we received 4,719 submissions, not including the 161 full-length manuscript submissions for the Book Prize. So we have an acceptance rate of 3.25 percent. SD: Does being on the receiving end of submissions give you any insights when it comes to submitting your own writing? JHN: When I first started [editing nonfiction for GMR], I was overwhelmed and awed by the number of quality submissions. It's humbling and inspiring — there are so many talented writers. And to some extent the submission process is [like] laying your wrists bare. You're waiting for a ruling to come down. So, a rejection isn't necessarily a reflection of quality; it might be about [the editors'] needs for a particular issue, the mood of the editor on a given day. It's an intuitive and subjective process. Because of my job, I know how many talented writers are out there working and producing, so I'm less anxious about rejection. On the other hand, I'm more anxious about the whole project of writing — because it's so difficult for even extremely talented writers to get published. But that there are so many engaged and eloquent writers? That's exciting. SD: So, now GMR is publishing books? What a great leap! Why? How? JHN: We were inspired by indie presses that are sustaining innovative writing in a time of mass-market consumerist publication. We realized we already have a platform [the magazine] to promote daring and bold experimental hybrid work. We saw an opportunity to promote those writers even more. We already had the infrastructure: the staff and the connections to reach out to guest editors, plus our amazing design/layout editor, who runs [a press called] Publishing Genius. We thought, Why can't we promote strange art that might otherwise go unread/unseen? Author Sarah Manguso chose the winner of the prose contest: When He Sprang From His Bed, Staggered Backward, And Fell Dead, We Clung Together With Faint Hearts, And Mutely Questioned Each Other by Christopher Kang. Poet Olena Kalytiak Davis selected the winner of the poetry contest, Mega-City Redux by Alyse Knorr. The books are available for presale now, and we're having the launch party on February 7 in Washington, D.C., at the A&D bar during [the Association of Writers and Writing Programs conference]. The original print version of this article was headlined "Gatekeeper of Words"